CHANDIGARH: Punjab Chief Minister Amarinder Singh today hailed the civic poll results as a clear vindication of the Congress policies and a resounding defeat of the opposition's "deceitful propaganda". The Congress today swept the three municipal corporations of Amritsar, Jalandhar and Patiala. In Patiala, the Congress won 58 wards while the opposition failed to open account. In Jalandhar, 66 wards fell into the Congress's kitty followed by eight which went to BJP and four to their ally SAD. 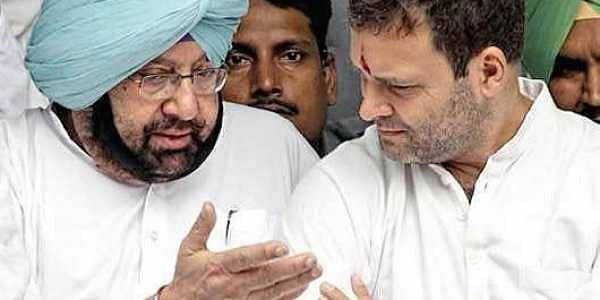 In Amritsar, Congress won 69 while 12 went to the SAD-BJP alliance. He congratulated people "for not succumbing to the pressure tactics of the Opposition, which had tried hard to derail the free and democratic poll process with its cheap gimmickry and provocative acts", a statement said. The Opposition had used all possible tactics– from open threats to misleading statements and rumour mongering – to intimidate the voters, but failed miserably, he claimed. My heartfelt thanks to people of Punjab for turning out in huge numbers to support the Congress in MC, Nagar Panchayat & Council elections. The sweeping victory for @INCPunjab is a clear vindication of our policies and a defeat of the Opposition’s false propaganda. "The people had not forgotten what the Akalis had done for 10 years and had responded by voting them out of power in the Assembly elections and now handing them a crushing defeat in the local bodies' elections," the chief minister said. As far as the Aam Aadmi Party was concerned, it had come to Punjab like a summer storm but had been "completely decimated, with no apparent hope of revival", Amarinder Singh said. "The sweeping victory for the Congress in the local bodies' elections, which many political pundits and even the media had described as a litmust test for the party, clearly showed that the government was on the right track and the people were more than satisfied with its achievements of the past nine months," the chief minister added. Punjab Congress chief Sunil Jakhar thanked the people and party workers for ensuring smooth and impressive turnout in the polls. "The Akalis tried their best to scare the voters away from the booths, especially in areas where the Congress has a stronghold, but failed to intimidate them," said Jakhar, in a separate statement issued here. Jakhar claimed that this was for the first time in a decade that the "polls were held in a free and democratic manner". "The Akalis, during their 10-year-rule, had brazenly used muscle power to rig the elections. Misuse of the police force to intimidate the voters and the political opponents was common under the Akali regime," he alleged. The Congress workers too were buoyed by the palpable swing in favour of the party in the run-up to the elections, he further said, and expressed the confidence that with Rahul Gandhi taking over the reins of the party high command, the euphoria in the party would translate into majority votes for it. He said Aam Aadmi Party (AAP) had lost its ground completely in Punjab, as in the rest of the country, the Shiromani Akali Dal (SAD) had also failed to recover from the rout it had witnessed in the Assembly elections.